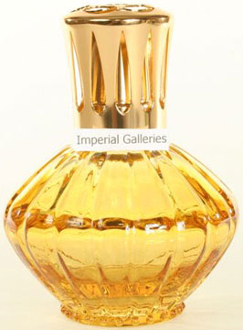 The Corolla Topaz lamp is an elegant small lamp from Lampe Berger in fluted glass. The lamp comes with a burner, funnel and instructions. Height: 5"